An apprenticeship is a job that provides training and will allow you to gain nationally recognised qualifications whilst earning a wage. There are a huge variety of apprenticeships available by leading businesses, including Lloyds Banking Group, Rolls Royce, IBM, EY, BBC, Unilever, GSK, PricewaterhouseCoopers, MBDA and Airbus. Government funding is available to cover the cost of most apprenticeships, which means your son/daughter will not have to pay for any of their training – they will be debt free! 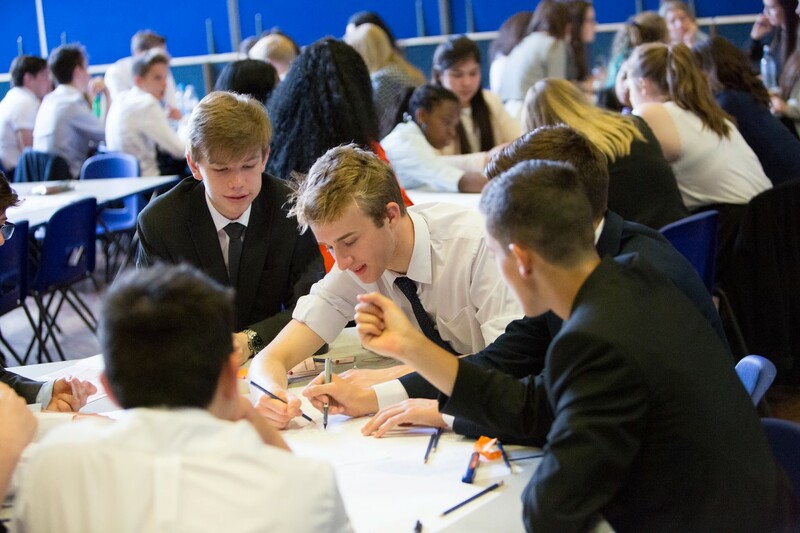 Students are informed that they can apply for an apprenticeship alongside an application to a University degree. Intermediate Apprenticeship (Level 2; equivalent to five good GCSE passes): provides skills and qualifications for a chosen career and allow entry to an Advanced Apprenticeship. Advanced Apprenticeship (Level 3; equivalent to two A-level passes): to start this programme five GCSEs (grade A*-C) are needed or have completed an Intermediate Apprenticeship. This will allow entry to a Higher Apprenticeship or degree level qualification. Higher Apprenticeship (Level 4/5; equivalent to a Foundation Degree): to start this programme Level 3 qualifications (A-Levels, Btecs or Ctecs) are needed or have completed an Advanced Apprenticeship. Year 12’s are given an introduction talk to apprenticeships and higher degree level apprenticeships. Throughout the year they have talks from external speakers and alumni students. There is a PSCHE session where students are given the opportunity find out how to apply for an apprenticeship. Students are invited to an apprenticeship show and gain information at the higher educational convention. Year 13’s are supported through the application and interview process.